Nearly twenty percent of drug makers said their products contain gluten, usually in the form of wheat starch. This is a potential problem for people with celiac disease. Celiac.com 04/15/2019 - A new report says pills often contain so-called “inactive” ingredients that can cause allergic or gastrointestinal reactions in some people sensitive to specific compounds, and gluten and lactose are at the top of the list of offenders. 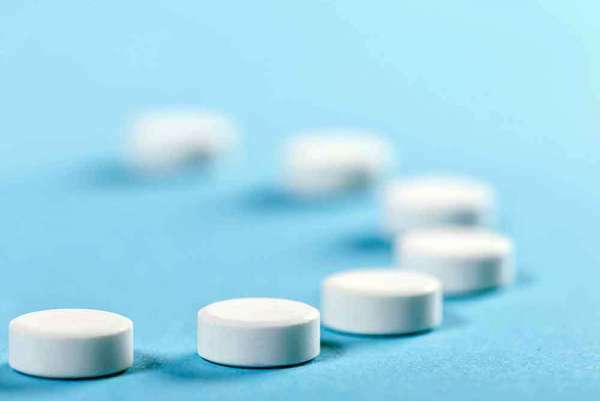 Researchers from the Massachusetts Institute of Technology and Boston’s Brigham and Women’s Hospital analyzed data on inactive ingredients from a database of more than 42,000 prescription and over-the-counter medicines. An average pill contains eight inactive ingredients, but some contain 20 or more. For the patient of one doctor, Dr. Giovanni Traverso, a Brigham gastroenterologist, hidden gluten in a new prescription was causing a reaction and making him sicker. The man had celiac disease. “There’s a tremendous under-appreciation of the potential impact that inactive ingredients may have,” said Dr. Traverso. Nearly half of the analyzed medications contained lactose. Usually, not enough for most lactose-intolerant people to notice, but enough that someone taking common medications for high blood pressure and cholesterol could ingest about a thousand milligrams a day. A third of medications contained a food dye associated with allergic reactions. This is a concern for anyone with allergies to food dyes. More than half of medications contained at least one kind of sugar that irritable bowel syndrome patients should avoid. Most people don't need to worry in general. These reactions remain extremely rare. For most people, even those with sensitivities, the amount of gluten, or lactose, or other inactive ingredients is too small to trigger a reaction. However, Dr. Traverso reminds the public that refills can sometimes use differently formulated drugs from a different company, and advises patients to check the label every time. Your doctor or pharmacist can be a useful resource for helping to make sure your drugs and medications are free from gluten, dairy, lactose and other allergens. Still they are not infallible, a recent report suggests that local pharmacists may need more training to get up to speed on gluten in drugs and medicines. One takeaway here is that celiac patients should remain vigilant. Check with doctors and pharmacists, but be ready to do your own detective work. Check directly with manufacturers, or ask your doctor or pharmacist to help. Celiac.com 05/06/2015 - Gluten is a common ingredient in many commercial food products. Less commonly known, however, is that many manufacturers use gluten as an inert ingredient in such products as medications, supplements, and vitamins. For people with celiac disease, exposure to as little as 30 to 50 mg of gluten per day can damage the mucosa of the small intestine. So, it is important to know the gluten content of prescription and nonprescription medications, even though a lack of labeling laws can make it challenging to find products that are gluten-free. Given the lack of resources to verify the gluten content of prescription and non-prescription medications, it is best to check with the manufacturer. Your pharmacist can help make the process a bit simpler than doing it yourself. There are three things you and/or your pharmacist can do to determine the gluten status of any prescription drug. First is the use of a package insert (PI). You or your pharmacist can use the PI to review drug formulations, and find contact information for pharmaceutical manufacturers. Gluten is used in numerous medications, supplements, and vitamins, often as an inert ingredient known as an excipient. For prescription medications, the PI should include a detailed listing of excipients; however, if this information is not readily available, the FDA provides drug labeling information for prescription and some OTC medications at DailyMed (dailymed.nlm.nih.gov). For non-prescription products, there often is nothing in the PI regarding gluten content, which means you will likely need to check with the manufacturer to be sure. Second, you or your pharmacist can visit company websites to help determine whether a medication potentially contains gluten. Third, you can find manufacturer contact information on the product or its packaging, by conducting an Internet search using the manufacturer's name, or by accessing online drug-information resources such as Clinical Pharmacology, Facts & Comparisons, and Martindale. When requesting information from a manufacturer, it is helpful to provide the lot number. Recent research by Mangione and colleagues showed that information about the gluten content of non-prescription products is usually available and easy to access through the manufacturer. Fourth, there are some third-party websites, such as GlutenFreeDrugs.com, which is maintained by a clinical pharmacist, contains a detailed chart listing selected brand and generic medications that are gluten-free, as well as those free of lactose or soy. However, this is not a comprehensive or definitive list of products, as ingredients and formulations can change from lot to lot in the manufacturing process. Lastly, Celiac.org, the Celiac Disease Foundation offers a variety of resources and provides information on the treatment of celiac disease, tips on living gluten-free, and support-group contact information. Celiac.com 05/12/2015 - The current treatment for celiac disease is the avoidance of gluten-containing foods, beverages, and other products by means of a strict gluten-free diet. Following such a diet can be challenging, but recent FDA labeling rules go a long way toward helping people with celiac disease know with pretty good certainty whether a food product contains gluten, or is gluten-free. However, When it comes to prescription drugs, medicines, OTC products, supplements, and vitamins, people with celiac disease currently have little guidance. The FDA rules that mandate the labeling of gluten and other known allergens on food product labels does not apply beyond food. There are currently no rules mandating the labeling of gluten in drugs and medicines. That means that your average person with celiac disease might have a hard time finding out which medications, OTC products, supplements, and vitamins may contain gluten, and may experience adverse symptoms from continued gluten ingestion. A team of researchers set out to assess the role of pharmacists in educating patients and evaluating their medication use to ensure the optimal management of celiac disease. The research team included Ashley N. Johnson, PharmD, BCPS, Angela N. Skaff, BS, PharmD Candidate, and Lauren Senesac, PharmD. They are affiliated with the Pharmacy Practice Drug Information Center, and the Lloyd L. Gregory School of Pharmacy Palm Beach Atlantic University West Palm Beach, Florida. The team celiac disease review included Etiology and Risk Factors, Clinical Presentation and Diagnosis, Factors That May Impair Drug Absorption, Legislation, Management, and Resources. They found that pharmacists do indeed have an essential role to play in educating patients and evaluating their medication use to ensure the optimal management of celiac disease. This often can be accomplished by evaluating the ingredient list, contacting the manufacturer, or utilizing a variety of other resources. Gluten can potentially be introduced and contaminate otherwise gluten-free products during the manufacturing process, although the likelihood is low. Key points to consider are that even if a brand product is confirmed to be gluten-free, it cannot be assumed that the generic version is also gluten-free, and that if a product has a new formulation, appearance, or manufacturer, it is prudent to reassess it and confirm that it remains gluten-free. Starches used as excipients in pharmaceutical products are often derived from rice, potato, or tapioca, which are gluten-free. However, if the source of the starch is not explicitly stated, the excipients may contain gluten. Sources of excipients that contain gluten include barley, farina, kamut, rye, spelt, triticale, and wheat. Pharmacists play a pivotal role in educating patients about gluten-containing foods, medications, and supplements in order to help them adhere to a GFD and in ensuring that patients receive additional follow-up care, if needed. Celiac.com 12/20/2017 - The US Food and Drug Administration (FDA) wants drugmakers to provide detailed labeling about gluten in drugs. The agency's recent draft guidance encourages drugmakers to provide clear labeling about whether their product ingredients contain gluten. FDA says the guidance is meant to improve consumer knowledge about the presence of wheat gluten in oral drugs. Unless a drug specifically contains wheat gluten or wheat flour as an ingredient, the agency says it expects most drugs to contain less gluten than a gluten-free cookie. Under the guidance, the "amount of gluten estimated to be potentially present in a unit dose of an oral drug product (less than 0.5mg) is significantly less than the range at which gluten is estimated to be present in a gluten-free diet (5 to 50mg)." The guidance notes that 0.5mg gluten is the high end of its estimated range. FDA also says it is unaware of any currently marketed oral drugs that contain gluten as an intentionally added inactive ingredient, and that drugs that with intentionally added gluten would have to be labeled as such. The guidance encourages manufacturers to include a statement that their drug "contains no ingredient made from a gluten-containing grain (wheat, barley or rye)" when such a statement is "truthful and substantiated" in the description section of the drug's prescribing information. The guidance pertains to all human drugs that pass through the small intestine, including drugs that are taken orally, topical drugs applied on or near the lips and drugs that are applied inside the mouth. The guidance was necessary in part because, according to FDA Commissioner Scott Gottlieb, "because there has been uncertainty about gluten in certain drug products, some patients may be avoiding medications that would otherwise offer a health benefit." Could Your Pharmacist Help Keep You Gluten-Free? Celiac.com 06/11/2018 - Untreated celiac disease causes damage to the small intestine, which can interfere with proper nutrient absorption. Most patients can recover proper nutritional absorption via vitamins and mineral therapy, according to the CDF. Avoiding gluten is key. However, many people with celiac disease may not know that their pharmacist might just be one of their best allies in the fight to avoid gluten. Currently, there are no rules that require drug manufacturers to disclose the source of medication ingredients. Consumers can contact the manufacturer directly with questions, and some drug companies strive for clear, helpful answers, but getting correct information can be challenging. Many times though, an answer won't address possible cross contamination during the manufacturing process. This is where pharmacists can be a strong ally for patients with celiac disease. Here are a few way that pharmacists can help people with celiac disease to avoid hidden gluten in their prescriptions and over-the-counter drugs. The first thing pharmacists can do is to check ingredients on prescription medications these patients are taking. They can also share related information to help educate patients, and to improve their choices, and speak with drug manufacturers on patients’ behalf. In addition to assisting with prescription medicines, pharmacists can offer recommendations on vitamins and supplements. As with prescription drugs, both doctors and patients should do their best to review the ingredients used to manufacture vitamins and supplements, and to share this information with celiac patients. So, if you have celiac disease, definitely consider enlisting your pharmacist in an effort to get complete drug and supplement information. This simple tactic can help you to remain gluten-free during your course of drug treatment, however long that may last? Do you have a story about gluten in prescription drugs or supplements? Do you use your pharmacist to help you better understand your gluten-free drug and supplement options? Share your story with us.